>> See other Atomos items. 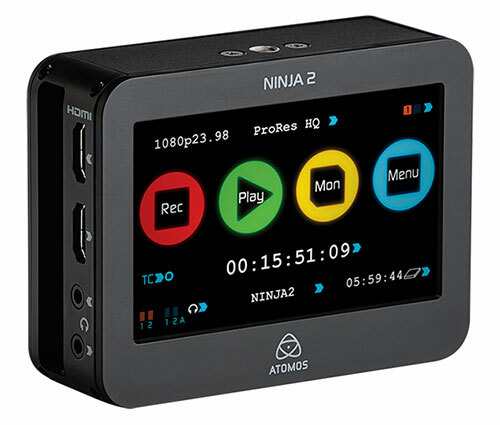 The revolutionised Ninja 2, your 10-bit HDMI Smart Production Weapon:Record, Monitor, Playback+Playout, Ready-to-Edit. AtomOS 3.0 - The real power of the Ninja-2 comes from AtomOS, our innovative and intuitive operating system. Easy-to-use Touchscreen Operating System - Access all of the Ninja-2s operations via the fast, responsive touch interface. One-touch Navigation - Allows for simple operation everything is one touch away. Unit Name - Name your Ninja-2 by project or camera. Media drives and recorded files are subsequently named with the unit name upon formatting. Replaced by Atomos Ninja Inferno 4K.